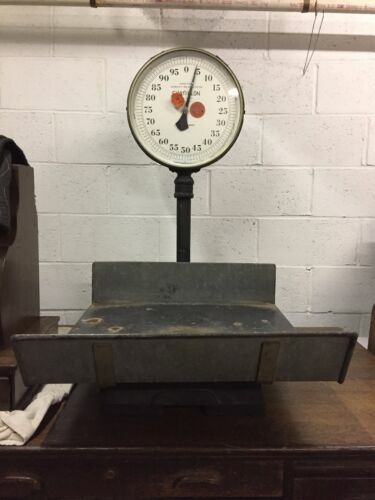 Fairbanks Antique Cast Iron Platform Counter Top 75lb Scale Works good. 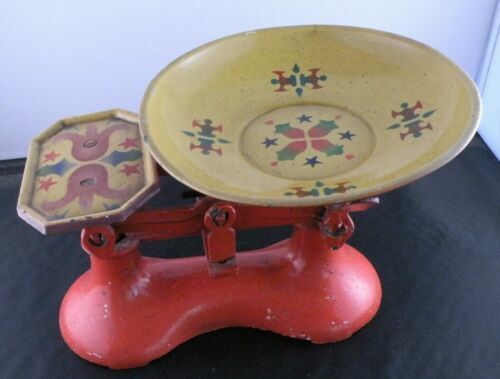 6" Antique Cast Iron Scale Hand Painted Flowers Original Weight Childs Toy? 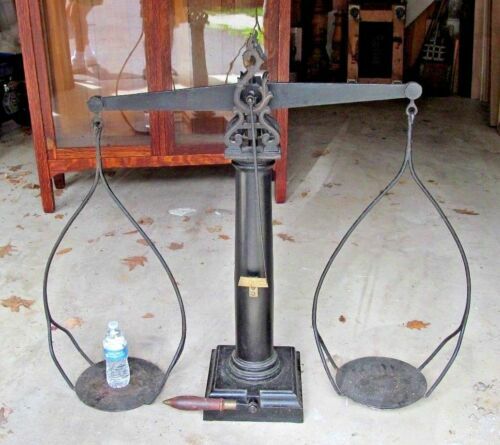 Antique Brass & Cast Iron Hanging Cylindrical Spring Scale —50 lbs capacity. 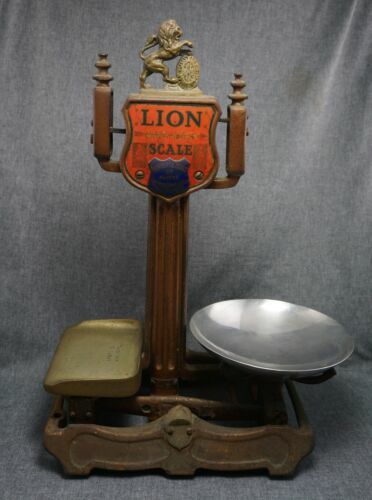 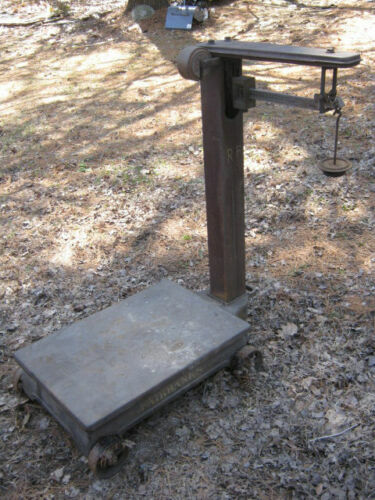 Fairbanks Antique Cast Iron Platform Scale, All Original - 25 lb - Excellent! 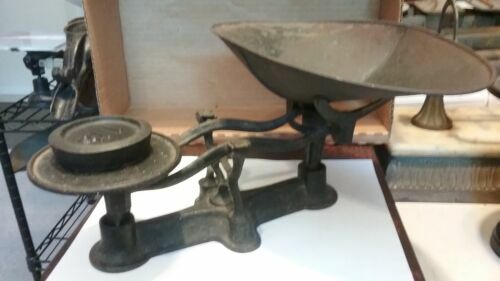 BEAUTIFUL ANTIQUE VICTORIAN CAST IRON KITCHEN SCALE With 6" Square plates. 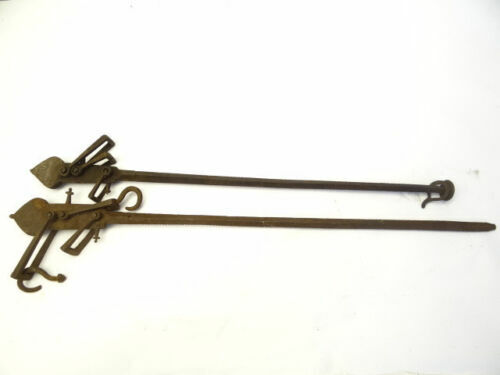 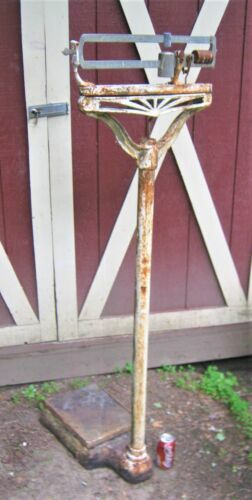 Antique Primitive Hanging Cast Iron 50# Scale & Weight 3 Hooks Hay Meat 17"
Old Post office cast iron & enamel oversize 1 scale very rare!